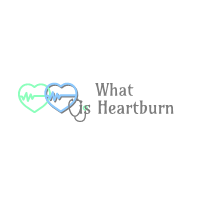 An Introduction to Heartburn - What is Heartburn? Referred to as Indigestion by a lot of people, heartburn is that burning sensation or feeling which you feel rising up from your lower chest up to your neck. If by any chance you or your loved one is experiencing something similar to this, don’t feel bad, we will walk you through this challenge. In case you have been surfing the net trying to find out what heartburn is and what causes it, you search ends here. Firstly, you need to understand that almost everyone has experienced this feeling, so it isn’t strange at all. The stomach has an acidic environment; hence, it is protected by its lining which is strong enough to withstand the corrosive nature of this acidic environment. However, there are times when the acidic contents of the stomach rise up to the esophagus level. Now, the lining of the esophagus isn’t as strong as that of the stomach, so when these acidic contents touch the esophagus, you tend to feel a burning sensation. 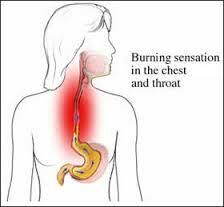 That sensation is what we refer to as heartburn. Confused? Don’t be. Our site contains more details. We have broken down everything that has to do with heartburn so anyone can easily understand how it occurs, how to prevent it and the next steps to take when it occurs. It may interest you to know that certain kinds of foods can trigger heartburn. But don’t panic, there are also some other foods that prevent such attacks and there are some known home remedies that can be used to tackle heartburn. You will find a list of these products here. Heartburn can be painful, therefore, we have written a guideline on how to choose the best medication and diets to combat this illness. Our aim is to provide you with nothing short of long-lasting relief.